This, along with the Frenzied Dragonhawk Hatchling http://www.wowhead.com/?npc=15649#00Rzc have "caster" stats when tamed i.e. it's armor and health is only between 80-90% of a normal Pet of the same level. As with the Feral dragon hawks the crazed one seen here also drop small eggs during winters veil (Christmas) you can sell small eggs for huge profit. they drop one to 2 eggs per kill and as a lvl27 priest i can kill them in 1-3 hits. I got one on my hunter when she was lvl14. Needless to say, it's not easy for a Dwarf to travel to Eversong at that level, so I died quite a lot while moving trough the plaugelands. Now my hunter is 68 and growing, the tamed Fire Breath ability (2 second DoT with scaling damage) works wonders combined with "Growl", the normal pet-aggro ability. Overall, if you look for the perfect pet, skip this one as it's AoE damage will break any CrowdControl, including your preciously timed IceTraps. Also, since it's a "caster pet", the base armor and such seems to be a bit lower than comparable normal pets. However, since the Dragonhawks aren't very common for Alliance hunter-pets and look great, they will get a great deal of attention wherever you go. Also, the coned AoE damage can be very beneficial when solo'ing! All in all a great hunter pet. I am planning to keep it when it dings 70 because of the looks and it's AoE damage, though the fact that they deal Fire damage alone could be enough to keep it. When fighting very Fire volunerable mobs, this pet can be very worthy. I have had one of these as a pet since level 10 with my Night Elf Hunter. If you're part of a guild, or if you have high level friends see if you can get a warlock and a couple of people with that warlock to summon you. I had a couple of guildmates summon me right in front of one. I tamed it and then hearthed and my pet quickly became my best friend. You should be able to teach it a bite attack. This will help it to keep aggro on it....I found it quite annoying when I would crit with my opening attack and would pull aggro of my pet. But I wouldn't get rid of it for anything. In addition to my previous post, I found another great reason for having this beast as your pet-of-choise. Where other pets only tend to like bread and/or meat/fish, this pet will be your personal bio-container, eating almost everything you will give it. (Raw) Fish, (Raw) Meat and Fruit. It works great, especially for lower levels. Great pet. Fire breath is totally worth it. The techniques listed to get to Everlsong Forest no longer function; you cannot rez at the graveyard there. You instead are sent to the last Alliance graveyard you were at; for me, that meant returning from Eversong Forest to Hillsbrad, due to the changes in Cataclysm. You have to make it there "honestly" now - no more ghost runs as Alliance. on top of the other comments i really like this pet when i play arathi basin BG,if you are defending a base and have him set to aggressive he lights up rogues and druids before they can pop you. My level 25 hunter hadn't been touched since early Wrath when I decided to pick her up one of these. It is possible! I managed to live through everywhere (picking up FPs along the way) except for a certain part of EPL where a bunch of Plaguebats are lined up all in aggro range of one another. Just mount up and get running. The pet is beautiful and makes more than one person stop & give your toon the "Wait, WTF?" look in the city. 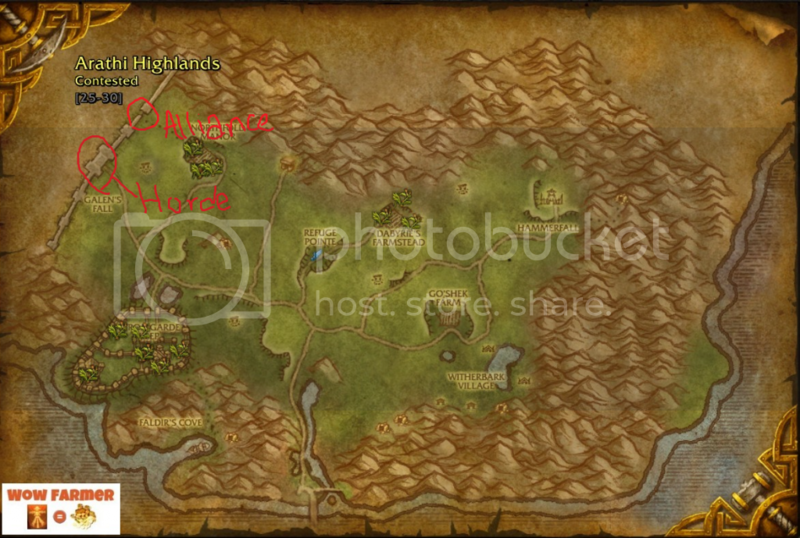 I posted my route for alliance to get the Springpaw Stalker and figured since this beast is in the same area, might as well add it here too. Mainly for new players since most of you already know how to get there. This was done as a level 10. As a tip, you can currently travel there as a ghost and resurrect there. I've tested it since they stopped letting you do that in 4.0.3. It is now possible again. I started in Thelsamar in Loch Modan. It's easy to get here since they started providing flight points as you level. You can probably fly farther north if you are a higher level. I initially did this as a level 10. 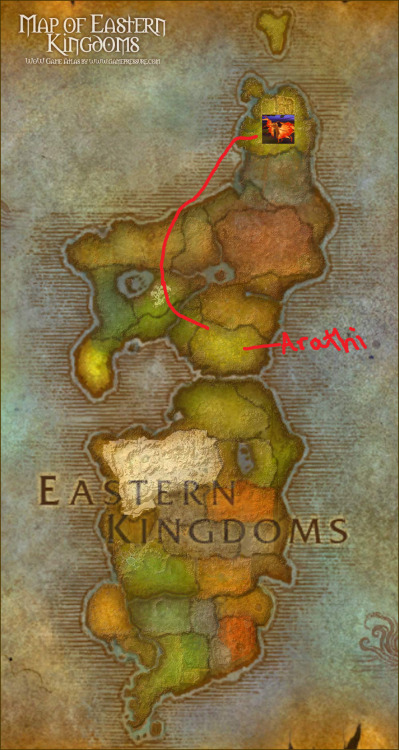 From there I ran north to Wetlands to Dun Modr and followed the road north into Arathi Highlands. Since the shattering there has been a new road past refuge point leading to a tunnel on the northern borders which gets you straight to Hinterlands . 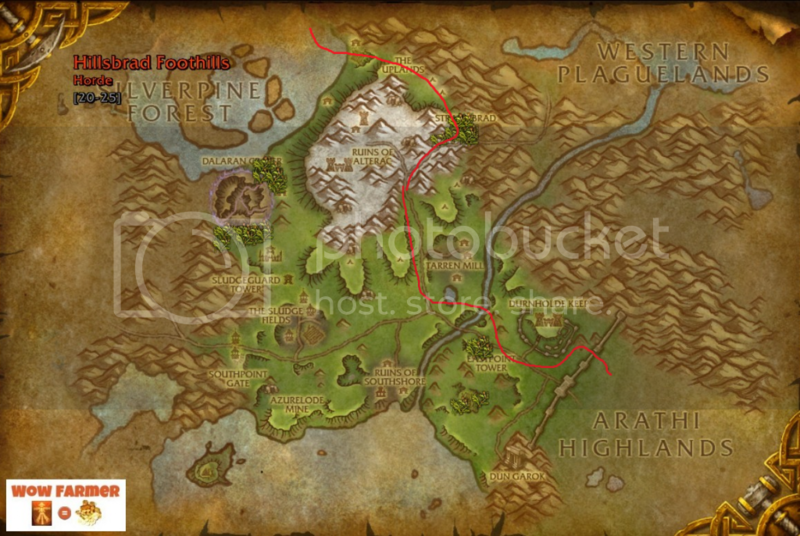 From there I went to the Plaguemist Ravine; the path just east of Aerie Peak to Western Plaguelands. I ran/swam north across the water and up the little river until I saw the bridge into Eastern Plaguelands. As a level 10 running through here alive to get ground, this was by far the worst area. As a ghost you should have no trouble. Follow the road, or cut through Eastern Plaguelands if you prefer to the path just east of Northpass tower. This will zone you into Ghostlands. If you are running there alive on a PvP server I recommend avoiding roads, but there's usually not too many people around. I chose to head east by the Farstrider Enclave, then up through Eversong Woods and up near Farstrider Retreat to get mine. If you ran as a ghost, just follow the roads. You'll most likely end up at the Fairbreeze Village graveyard which is surrounded by these dragonhawks and the Springpaw Stalker, another beautiful pet. You will have to run from guards if you are a low level. Happy hunting! 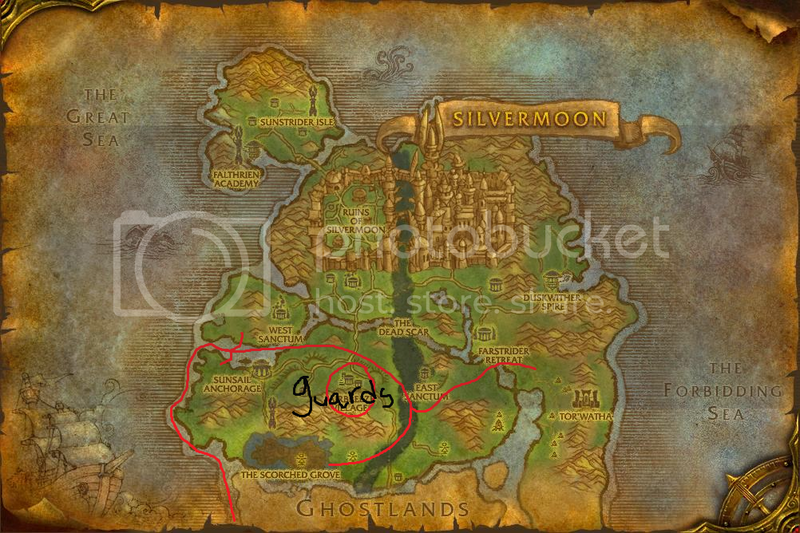 Another way for a Alliance player to get to eversong is quite long but no doubt safer, go to Tirisfal glades and swim to Eversong. For alliance players there is a more safer but also time consuming path I made up. Ce PNJ se trouve dans Bois des Chants éternels (121).